If Woodrow Wyatt is right, men and women have different keys when it comes to love. A key to a man’s love begins with his eyes. 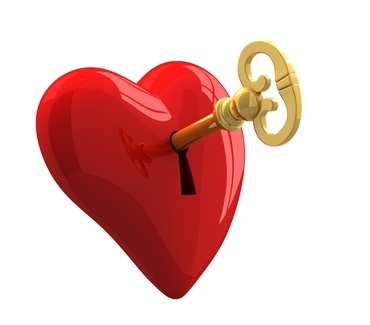 If this is true, you can use this key to increase intimacy with your husband. Dress nicely now and again rather than always slumping around in your “comfy clothes.” When you go on a date, pick out clothes that you know appeal to your husband. You likely did this while dating. Why not keep it up after you’re married? Make an effort to put on nice clothes, fix your hair, and smile admiringly at your husband on a regular basis. It will go a long way in unlocking his love. A key to a woman’s love begins in her ears. Use this key to gain intimacy with your wife. Speak words of appreciation and adoration for your wife. Encourage her often. Verbalize your feelings of love on a regular basis. Let your words reveal your fondness and admiration for your wife. Speak words of love and affection, appreciation and adoration, fondness and admiration daily. This will unlock her love for you in amazing ways. These keys have a flipside. They can create intimacy when used properly; but, on the flipside, they will create disdain if misused or ignored. Wives, if you make no attempt to look nice for your husband, he may begin to think you don’t care. He will feel unimportant because you “dress up for work, but never for him.” He will feel as though you rate him second to all those activities and places for which you dress up. He may even begin to feel disrespected. He may feel cheated and deceived because you “dressed up when we were dating but now you don’t care enough about me.” A man who feels disrespected will begin to drift to those places where he feels more respect. Don’t let this happen in your marriage. Use the key of his eyes to keep him close. Men, if you neglect to speak words of affirmation and admiration to your wife, she will begin to doubt your love. She will feel unappreciated and unloved. She may even begin to feel worse about herself, inadequate and filled with self-doubt. If you call her names or call her character into question through the words you speak, she will begin to despise you. Her disdain for you will grow with every negative comment you make. Eventually, love will die. Don’t let this happen in your marriage. Speak words of love and tenderness. Use the key of her ears to keep her close. Of course the eyes and ears are not the only keys to love. But, they do provide one key you can use to deepen the intimacy with your spouse and strengthen your marriage. The nice thing is…you hold the key!